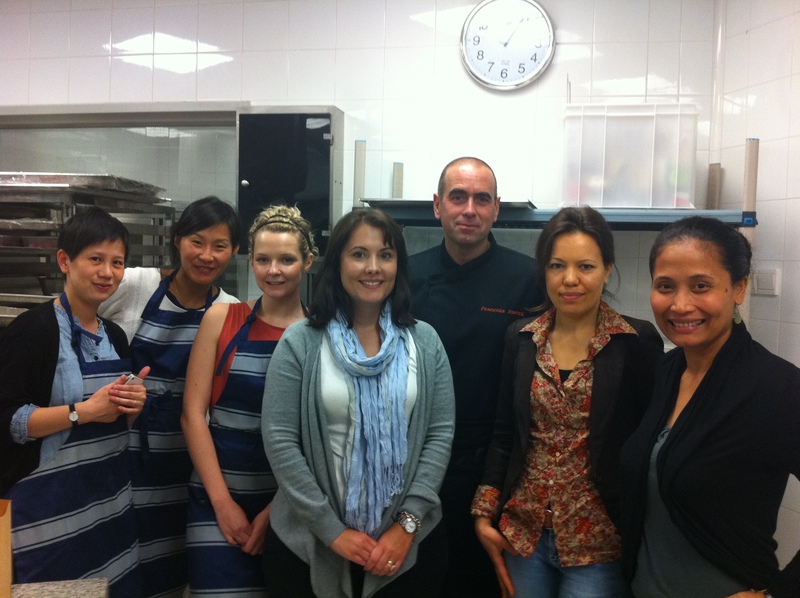 Had a fabulous time at Pastry 101 class at Kerry Hotel Pudong today. It is part of their Master Chef Cooking Series, each month they selected different kitchen to give cooking lessons which is open for public. I didn’t make it to Petit Fours class the previous week since they booked up quite fast (the theme was chocolate so it sold out right away!). 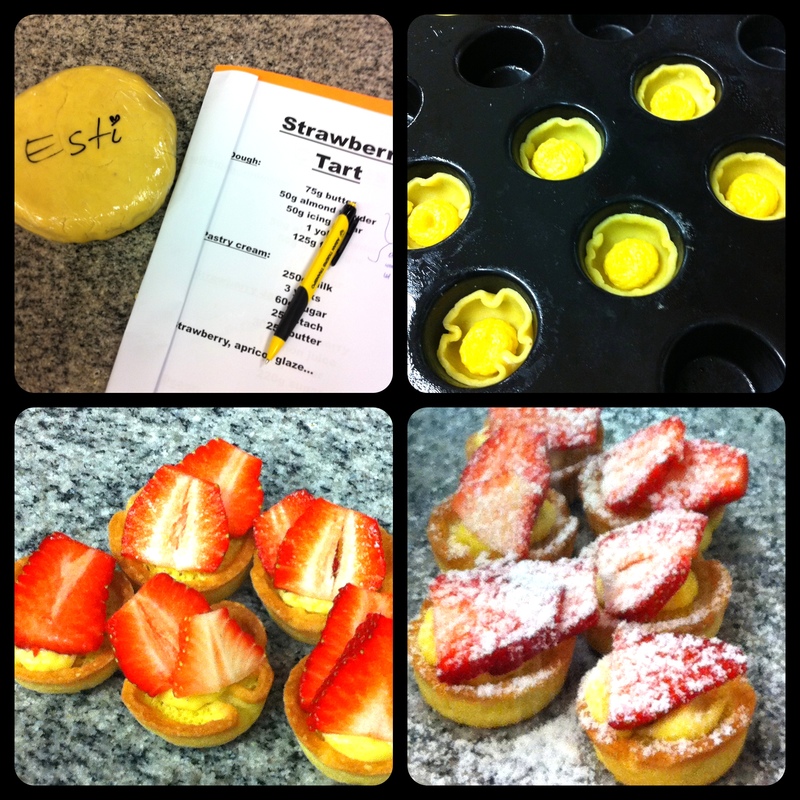 Back to the classroom errr … pastry kitchen,today our group were learning how to make several dessert using Fresh Strawberries that is currently in season. 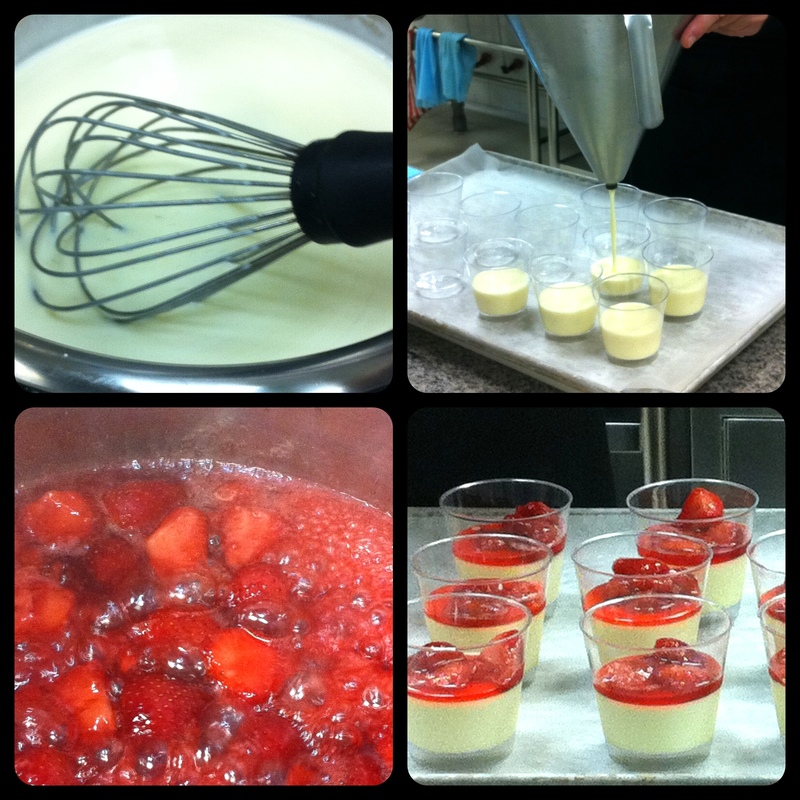 Francois Pietri, the Pastry Chef himself taught us some mis en place from scratch (making tart dough, strawberry jam, strawberry coulis, vanilla custard,etc) and each of us got individual recipe and ingredients that we have to do on our own, with his directions. He was very hands on, we asked so many questions (from where to get several ingredients to what is the best oven temperature, etc.) 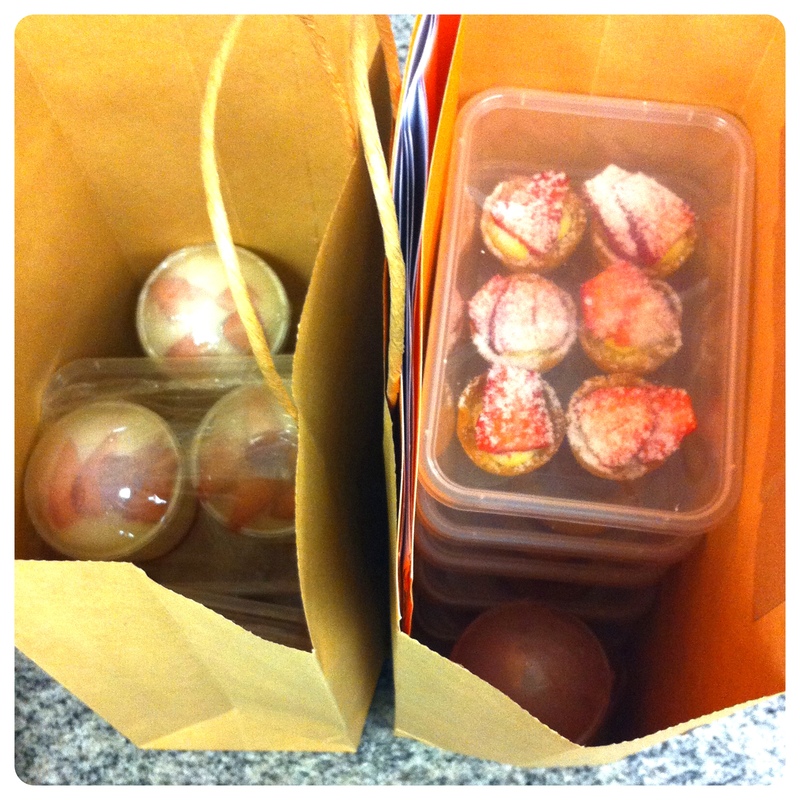 and our baked goodies turn out fantastic. 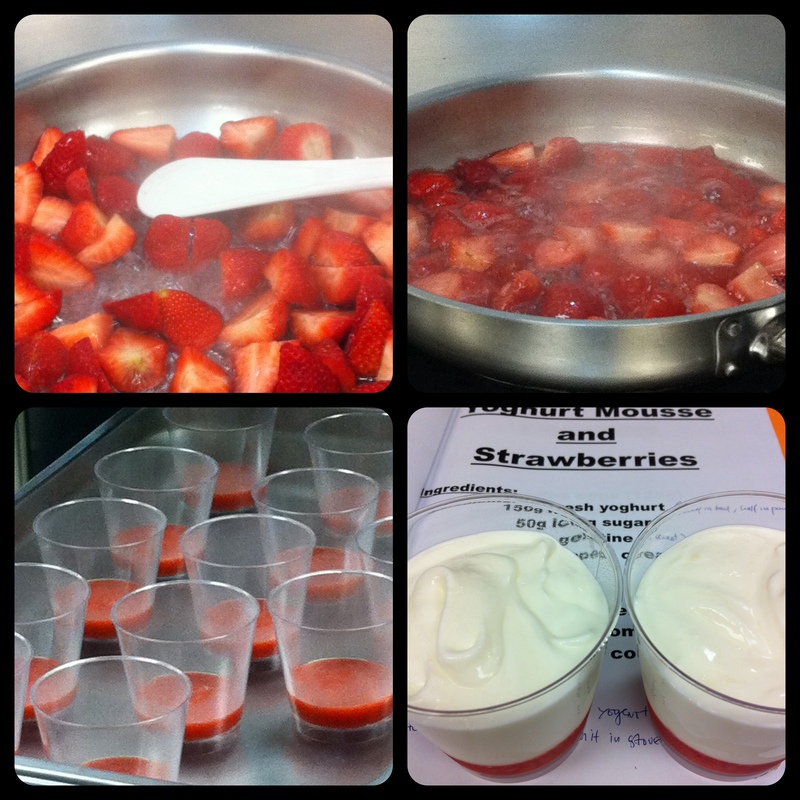 Yoghurt & Strawberry Mousse, I love this, great yummy healthy dessert, easy to make and look so pretty. 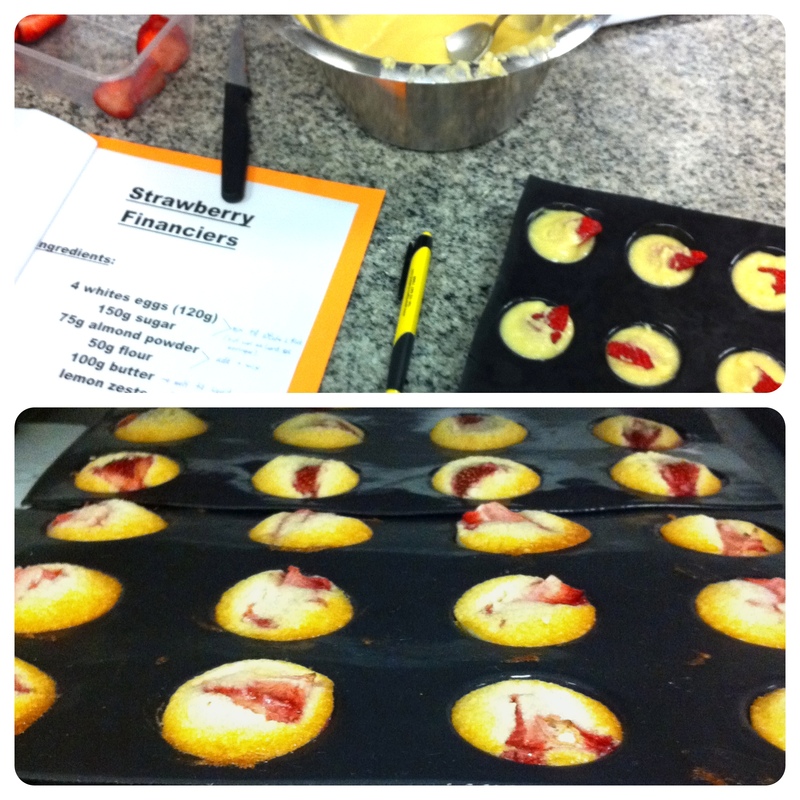 Strawberry Financier, this one is a keeper, the almond crust is buttery and too die for, super delish! 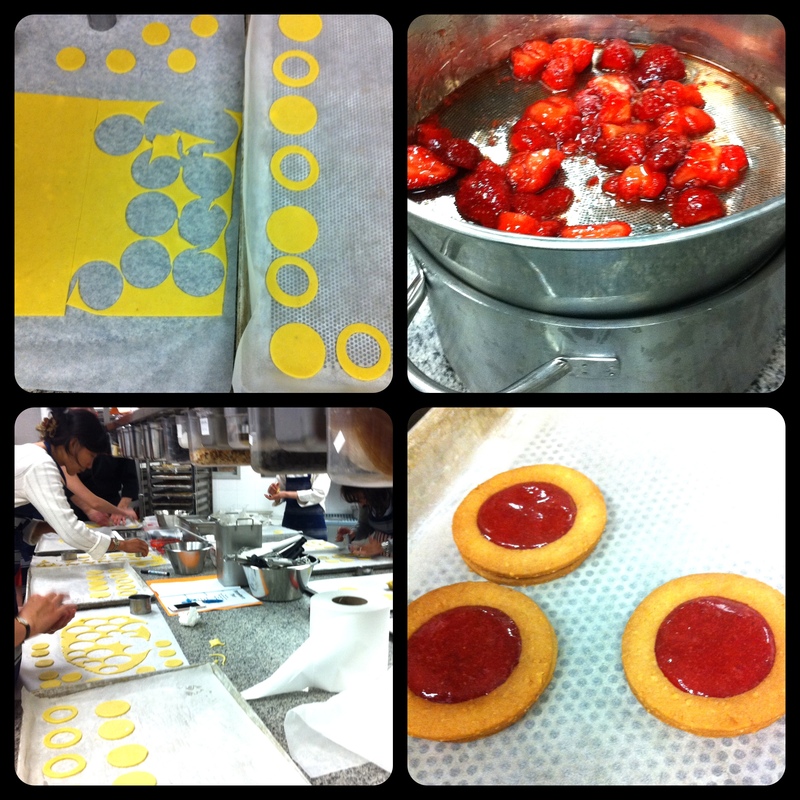 Strawberry Jam Cookies, next weekend project with Little Miss, I can see her having fun with this recipe. Strawberry Tart, the most delicate one of all, require a little bit more time to make but worth every minute, absolutely gorgeous. What I like about this class (beside the nice professional kitchen and endless great tips on pastry stuff) is the fact that Francois let us do our own creations, he gave basic guidance and he let us “play” with our individual part of pastry making. At the end of the class we were given plastic containers and paper bags to bring our creations home! I can’t wait for the next class on April 25th (yes, I secured my spot, yaayy!) Francois will reveal his Macaron secret recipe. If any of you in Shanghai interested to join the class here is the number to call 6169 8886 (Ms. Jeya). Now if you excuse me, I need to set up the table for a private tea party between Little Miss, Barbie and I.
I have just joined a decorating cake class myself and last week was our first class. Can’t wait for the next one. Isn’t baking just so deliciously interesting?? 🙂 Found your blog from tatterscoops! Hello SHelomita, thank you for dropping by, yes baking is theraupetic for me, have fun in your decorating cake class there. YUMMY! And so pretty. Jim’s favorite strawberry desert is strawberry shortcake. Presents well and is soooooooooo delish. With whipped cream or with vanilla ice cream with or without whipped cream. You can also saute the strawberries in a pan with balsamic vinegar with or without black pepper then serve over vanilla ice cream. Love strawberries. They are so versatile. Do you ever get raspberies in China? If so I’ll send you a Southern recipe that is super easy and quick and beloved by everyone here. Share his secret making good macaroon, will ya?